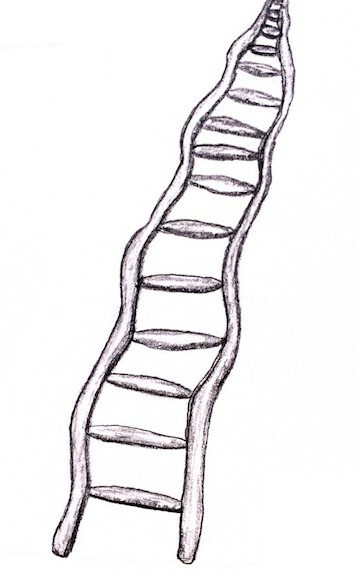 I Want My Own Ladder to Success — Beam Inc.
Let’s drag out the old cliché one more time — If you only have a hammer, everything looks like a nail. If you think you only have one type of solution, you use it for every challenge. Sounds stupid, doesn’t it? Well, that is exactly what companies do when they solely use upward promotion to motivate and reward success. Recognize there are more options for career pathways than just the vertical climb. Actually see the person and discover what success means to them. Together, you can set a path for success that makes sense given their values and interests. Only a few people are intrinsically motivated to climb to the top of a company’s organization chart. Many only do it because that’s the way the company provides more pay, juicier assignments and continued development as a professional. This is the familiar style. Most organizational charts and reward systems are designed to honor and reward linear advancement and some people thrive with this as motivation. It’s all about gaining more responsibility, bigger titles, higher pay and greater control over of the performance of the organization. Many people are motivated to become better at their craft, like surgeons, artists and scientists. This can also hold true for many makers, designers and engineers. They often identify more with their profession than with a particular position, title or even company. Give them increasingly complex and juicy projects so they can hone their skills and improve their status as a top professional in their field. Other people are motivated by the thrill of the hunt. Often what sales people, venture capitalists or serial entrepreneurs love the most is the next big challenge. They want to add to their “pinball game score.” Give them new territory to explore and new challenges where they can score big. Life-long developers sometimes look like pyramid climbers because they move up in positions, but they’re really on a pathway of self-development. For example, one top insurance executive we worked with started out as a company lawyer and soon became head of the whole law department. Then he took a lateral step to the line operation side of the business and soon became the head that division. Later he became interested in organizational change and headed up a major change process for the whole company. His pathway wasn’t a straight line up the pyramid. He moved laterally, back and forth, and upward across the organization. His motivation wasn’t titles, it was personal and professional growth that satisfied his diverse interests and his need to learn and explore his abilities. Give people multiple options for recognition, reward and development and you’ll give your organization more options for successful growth and innovation. Leaders serve their people and their businesses better when they implement multiple pathways to success. How many ladders does your organization have? — Dan and Meredith Beam, Principals, BEAM, inc.